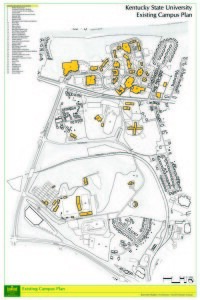 Click to download high resolution .pdf campus map. 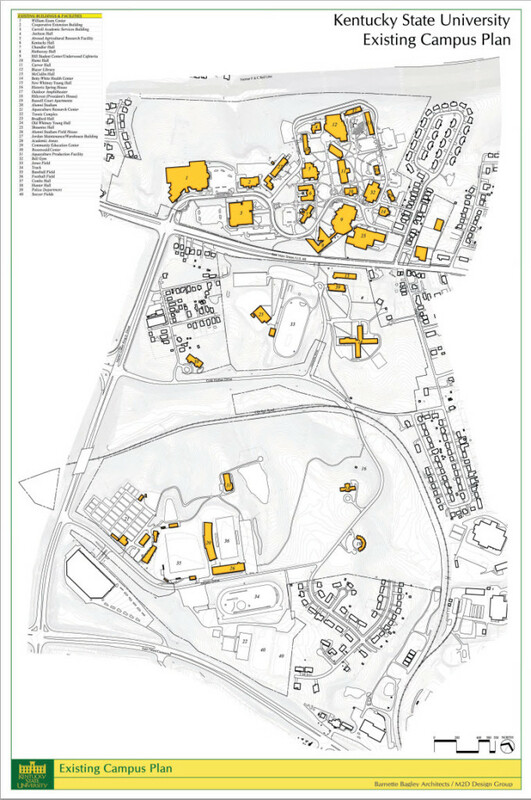 The campus map lists the University’s buildings and facilities at the main campus and shows their respective locations. The University’s 882-acre campus includes more than 50 buildings. This includes a 204-acre agricultural research farm and a 306-acre environmental education center. The campus sits in the heart of Frankfort, just four miles from Interstate 64, at 400 E. Main Street.